Ross & Cromarty Roots | George & Elizxabeth (McConichie) McCulloch. George & Elizxabeth (McConichie) McCulloch. 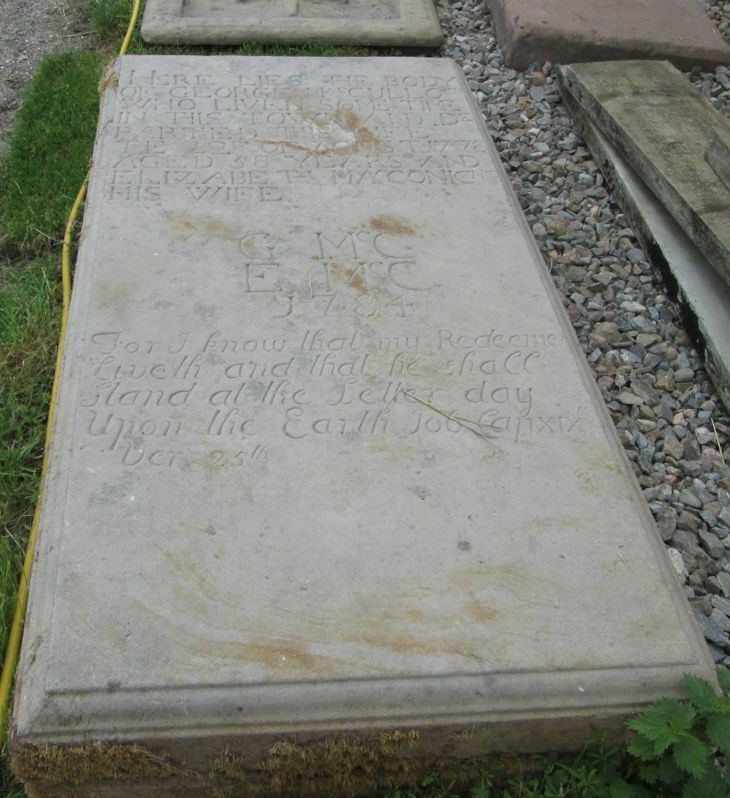 Here lies the body/of GEORGE McCULLOCH/who lived some time/in this town and de'parted this life/the 2nd of Agust 1778/aged 58 years and/ELIZABETH McCONICHIE/his wife. For I know the my Redeemer/liveth and that he shall/stand at the letter day upon the Earth. Job Chap XIX/ver. 25th.